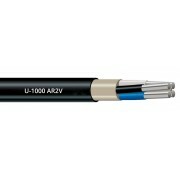 Cable standard : DIN VDE 0250-214. Conductor construction : DIN EN 60228 class 1 and 2. Core identification : HD 308 S2. 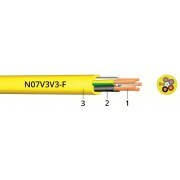 Fire retardancy : EN 50266-2-4, EN 60332-1, IEC 60332-3 cat. 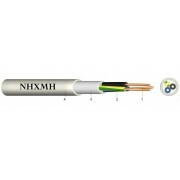 C.
Outer sheath : DIN VDE 0250-214. 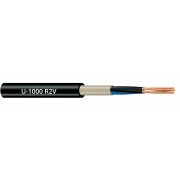 Test voltage : 2000 V (A.C.). Temp. range in motion : -5° C till +70° C.
Operating temp. : 160° C (short circuit). Bending radius : min. 4 x diameter. Conductor : aluminium rigid compact, class 2. Insulation : XLPE crosslinked polyethylene. 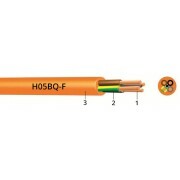 Conductor : rigid red copper wire, class 1 (ø ﻿﻿≤ 4 mm²). Insulation : XLPE crosslinked polyethylene (no dry cool). 1. Conductor : fine-stranded tinned or bare copper . 2. Core insulation : rubber compound (EL6). 3. Outer sheath : polyurethane (PUR), orange. 1. Conductor : fine-stranded tinned or bare copper.